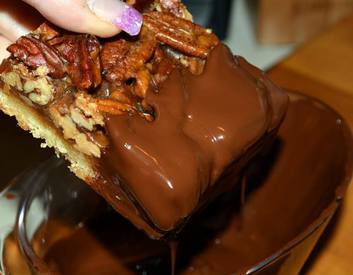 Pecan pie bars dipped in chocolate! Yes, it's National Chocolate Pecan Pie Day! You have to try this recipe, OMG, it is soooo good! I don't have much more to say except don't miss out on this one!